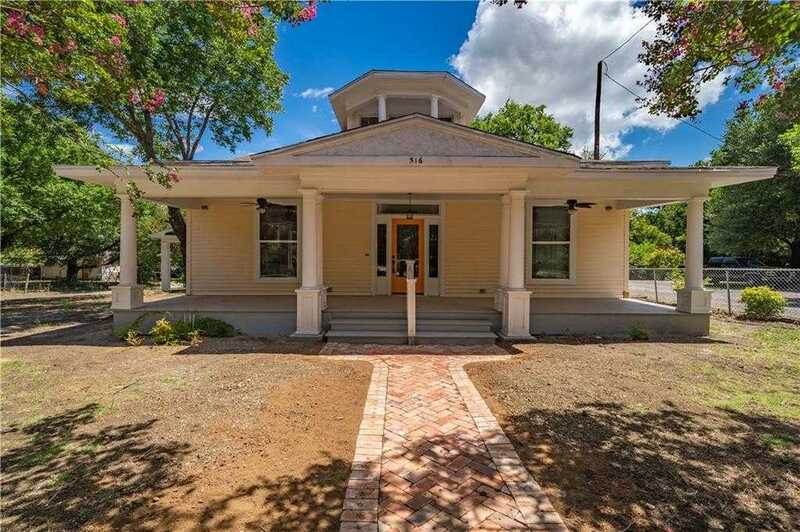 COME VIEW THIS COMPLETELY REMODELED CRAFTSMAN STYLE HOME!! Home was gutted to the studs…all new wiring, plumbing, tankless water heater, HVAC, spray foam insulation in attic, all new custom windows, new paint inside-out..etc!! Foundation has new piers, beams and joist. You will love the new red oak flooring throughout the home!! The builder added the beautiful staircase and opened up a loft room upstairs. Living room has a dual gas log brick fireplace. High ceilings! Kitchen has 9ft. granite island with bar seating and pendant lighting. Custom cabinets, pantry, new appliances, slide out spice rack, porcelain sink, and so much more! Master room has it’s own private patio. New 20×24 Porte-cochere! Call now! Please, send me more information on this property: MLS# 13847691 – $264,500 – 516 Franklin Street, Hillsboro, TX 76645. I would like to schedule a private showing for this property: MLS# 13847691 – $264,500 – 516 Franklin Street, Hillsboro, TX 76645.